This is a super silver pendant with gorgeous moonstone. The moonstone has a lovely luminous pinky tone with an absolutely gorgeous shimmering luminous quality to it. 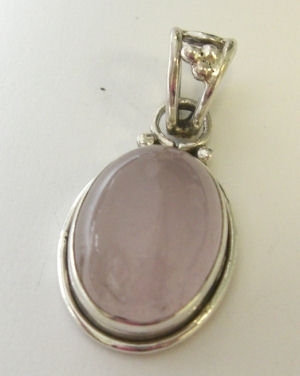 The stone measures 20mm in an oval shape and has a lovely silver bail that has an open work pattern. Very nice quality silver which is plain and surrounds the moonstone.